smART Class: Fun with Photoshop!! so we made a photo to show our faith that it is going to RAIN soon!! 6. now return to the blk and wht photo of your artist and click edit paste….this will paste the painted sky onto your black and white photo. 7.Use the move tool to stretch it and move it to where you want it. 9. then just use the eraser tool to erase around your artist and any other part you don’t want the painting to show, flatten image, and VOILA!! Phyl,once you learn photoshop, you will never want to stop! It is SO much fun! I have several projects planned this year that I am going to use photoshop with. Email me if you have any q's and I am very excited to see your results! Love this post especially since I'm in Houston!! I absolutely love this. So beautiful and fun. NICELY done. I love the effect you were able to get. Thanks for the directions. I've been wanting to learn more about photo editing and I just haven't taken the time. This is brilliant! Thank you Natalie for a wonderful tutorial. Your photo is fabulous & I hope you get rain in Houston soon! Love this and I'm going to try it with my oldest! Yes, you can convert the photo into black-and-white in Photoshop. 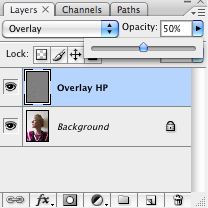 When I was first teaching myself Photoshop I thought of the "layers" feature like this: each item that is on a separate layer is on its own sheet of paper, kind of like a flip book. The topmost layer is at the top of your paper pile and each layer beneath it is like another "page". Now, if you start each layer as a *transparent* layer (meaning it has no solid background), you can then think of each item/image/element as being mounted onto a clear piece of plastic. Photoshop does take quite a while to learn...I started in 1994 and am, well, always still learning, but that's the joy of it...fiddle, play, discover! I MUST try this... great idea!!!! Like that you posted a tut for this!!!! Thank you very much for sharing this! I have had PSE for a couple of years now without knowing how to use it. Everything worked exactly as you instructed, however, I am getting lines from one of the images bleeding through. How do I correct this? Nice tutorial to use Photoshop for fun. Thanks for sharing. Absolutely adorable! I am so in love. I just started dabbling with photography and photoshop this year. I have found that i might need to take a photoshop class in order to get the most out of it. I love love love that you put the instructions on how to complete this photo. It is amazing! I cannot wait to try it. Thanx for sharing, really NICE will have to try it sometime ! What a genius idea! love love love this. I'm in Katy TX so I totally understand. Though this year we have had better luck with rain. Will follow your blog. check out mine as when I finish with this project I'll include it in my own blog too and give you credit of course! This is awesome. I'm trying it with my granddaughter. Any other cool ideas like this? Thanks for sharing and giving encouragement to try. Isilon Expert Solutions leaders are always in demand. Obtaining a Dell EMC certification help you to boosts your career. You have the advanced knowledge and skills. Enhance you skills by doing Dell EMC CRT-160 Exam to improve their competency.